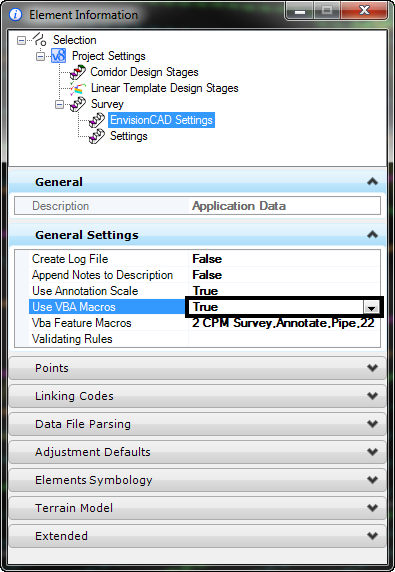 OpenRoads Survey can automatically create 3D elements in your CAD file. Some uses are pipes, trees, and utility structures such as manholes and inlets or above-ground structures. This has multiple benefits. This includes 3D graphics in the drawing which provides a foundation for BIM, clash detection, I-models and more. 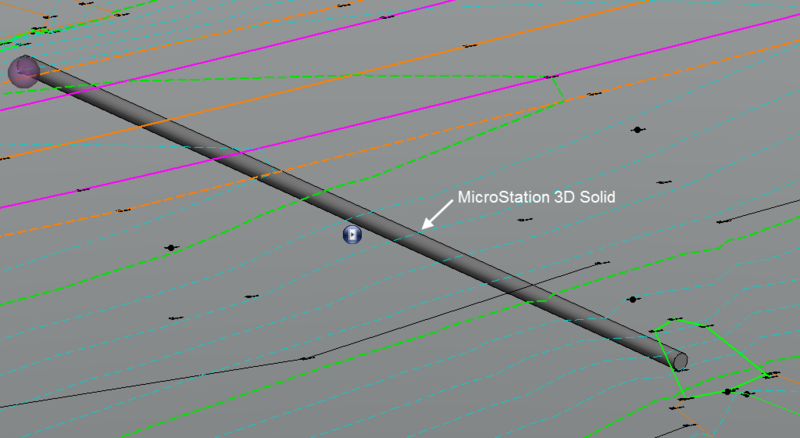 Additionally, OpenRoads will display MicroStation solids, surfaces or mesh elements in both dynamic and graphic cross sections. This is accomplished with a MVBA delivered by Bentley Systems. The provided samples can be used as a starting point to customize and automate the process for you. Below is an example to illustrate one of many possibilities. 1. From the pull down menu Utilities > Macro > Project Manager. The VBA Project Manager dialog will appear. 4. Right click the Survey Settings and from the pop up menu select Properties. 5. Expand the General Settings section of the dialog and set Use VBA Macros to True. 6. Click on the ellipsis in the VBA Feature Macros to open the VBA Features Macros dialog. 7. Click the New icon in the VBA Features Macros dialog box. 8. 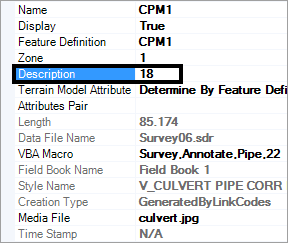 Set the Object Type to Linear the Feature Definition to “CPM” ( culvert alpha code) and the VBA Macro keyin “Survey,Annotate,Pipe,22“. Trust me on that keyin string! 9. Now import your raw survey data. When the code CPM is processed a 3D solid 22′ dia. pipe (delivered default) will be added to design file. 10. To assign real-world values to the pipe; identify the linear feature with the Element Selection tool and from the mini-toolbar; select Properties. 11. In the Description field keyin the value 18. 12. The graphics require refreshing. Go to the Tasks > Civil Tools > Survey > Survey Processing > Redraw. 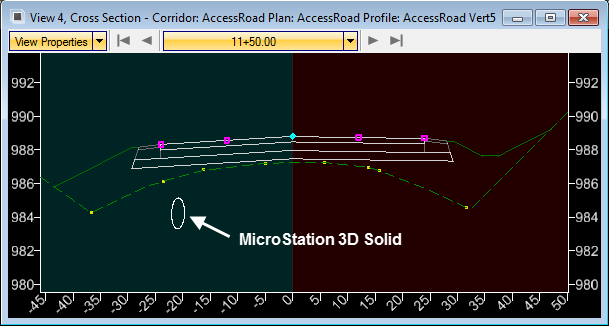 Note: OpenRoads cross sections will display any 3D MicroStation Solid, Surface or Mesh element that is displayed in the CAD file. Contact us if you want to get more out of OpenRoads. We can provide MVBA routines that will model pipes (incorporating wall thickness) or the modeling of box culverts, utilities above and below ground, and other real-world features.